PEUGEOT has priced its hotly anticipated 3008 SUV at a premium over its competitors in the booming mid-size SUV segment, with a starting price of $36,990 plus on-road costs. 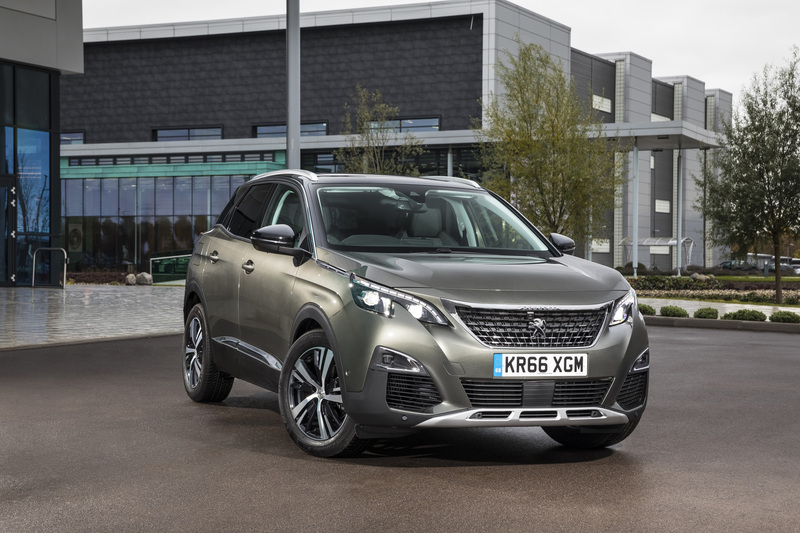 To offset the higher entry price, Peugeot is talking up the standard specification of the 3008, with the company saying that the base Active has features that are usually reserved for “top-of-the-range models”. The French-built high-rider will hit Australian showrooms later this month and it will be offered in four specification grades, ranging from base Active, to Allure, GT Line and flagship GT. As reported, two engines will be offered from launch, with the Active, Allure and GT Line powered by a 1.6-litre Euro 6-compliant four-cylinder turbocharged petrol engine delivering 121kW of power at 6000rpm and 240Nm at 1400rpm, which is paired with a six-speed automatic transmission. The 1371kg SUV has a top speed of 201km/h, can complete the 0-100km/h dash in 9.9 seconds and consumes 7.0 litres of fuel per 100km on the combined cycle, while emitting 156g/km of CO2. The top-spec GT uses a 2.0-litre Euro 6 four-cylinder turbo-diesel pumping out 133kW at 3750rpm and 400Nm at 2000rpm and drives the front wheels via a six-speed auto. In GT guise, the 3008 hits 100km/h in 8.9s on the way to a 207km/h top speed, while drinking 4.8L/100km and emitting 124g/km of CO2. With all seats in place, the 3008 can take 591 litres of luggage and, with the second row folded, this expands to 1670L in the fully flat load area. At 4447mm long, 1906mm wide, 1624mm high and with a 2675mm wheelbase, the 3008 is 103mm shorter, 66mm wider, 51mm lower and has a 25mm shorter wheelbase than the CX-5. Despite the lack of an all-wheel-drive option, the 3008 includes an Advanced Grip Control traction control system that includes Normal, Snow, Mud, Sand and ESP Off modes controlled by a central knob, and it has a hill descent function. Built on PSA Group’s EMP2 platform that also underpins the Peugoet 308 and Citroen C4 Picasso, the 3008 has an independent “pseudo” MacPherson strut front and semi-independent rear suspension set-up. The car-maker is offering its i-Cockpit 12.3-inch head-up digital instrument panel, and 8.0-inch capacitive touchscreen as standard across the range, as well as front and rear parking sensors, a reversing camera (180 degrees in Active, 360 degree plus a front camera in higher grades) dual-zone climate control, cruise control and speed limiter, an auto dimming rearview mirror, electric park brake and a driver sport pack. Bluetooth, DAB digital radio, Mirror Screen with Apple CarPlay, Android Auto and MirrorLink, a smartphone induction charging plate, voice recognition and 3D navigation are also standard from Active up. It also includes auto headlights and wipers, LED daytime running lights and tail-lights, with alloy wheel sizes ranging from 17- to 19-inches depending on the grade. Safety wise it has six airbags, Emergency Brake Assist, a distance alert, a driver fatigue warning, a lane departure system, Isofix child seat anchors and speed limit recognition. Active Lane Keeping Assistance, adaptive cruise control, Active Safety Brake with pedestrian detection, blind spot detection and the Peugeot smart beam assistance lighting system are part of the Advanced Safety Pack on Allure models and come standard on GT Line and GT but are not offered as an option on Active. A Nappa Leather Pack is optional on GT Line and standard on GT and adds heated front seats, a massage function, a memory function and eight-way electric adjustment. Other options include a panoramic roof and metallic paint, while Peugeot’s Coupe Franche two-tone paint is available in GT and GT Line.